please forgive us android addicts! we are working hard on releasing an android version too! Snap, apply filters and publish your architecture photos. Share your point of view on facebook and twitter. 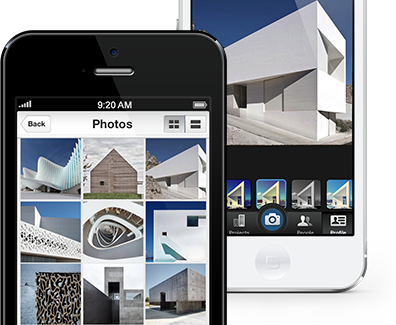 It’s like an instagram, just for architects and designers! 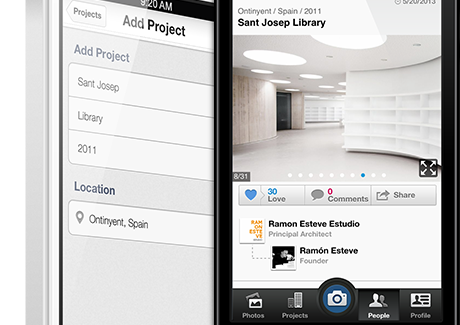 Create your project sheet in a blink and take photos, from the construction site to the finished work. 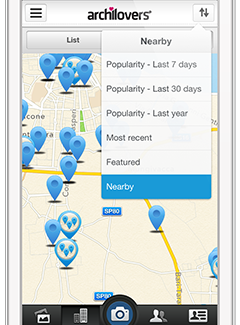 on map and find what is nearby you. 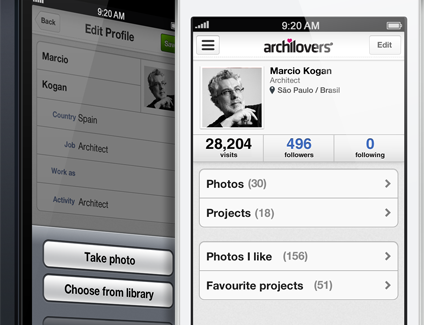 Add your professional interests and contact information, your activities, your pictures and your projects. Your profile is your business card! 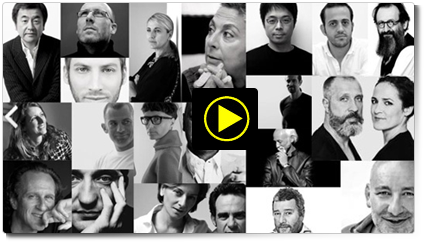 Search for a designer, an architect or a friend among the 450.000 users. Do you like their profile? just ‘follow’ them! Browse the projects gallery and ‘love’ your favorites. You can watch them whenever you want in your bookmark. 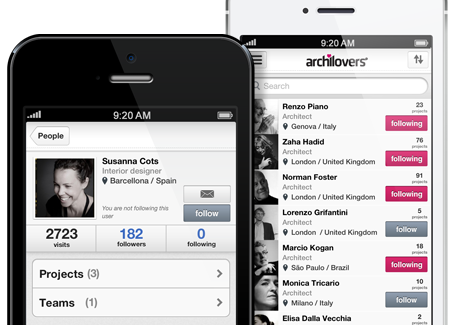 Exchange real-time free messages with Archilovers community. It's easy and fun.